It’s been years since I’ve had a Mocha Hot Cross Bun. 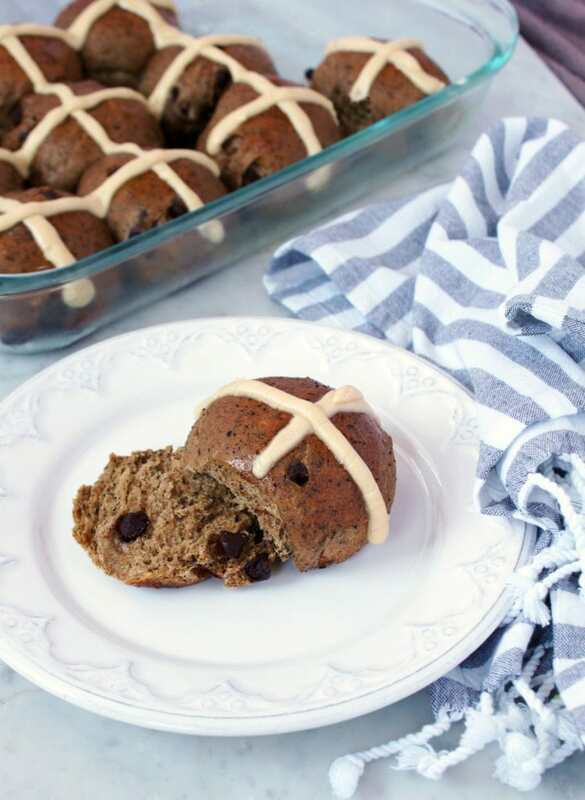 Yes, I know it’s a far cry from the spices and currants/raisins that most people consider ‘traditional’ in these Lenten treats, but why not try a little something different like these Mocha Chocolate Chip Sourdough Hot Cross Buns? Hot Cross buns are traditionally eaten in Christian countries during the period of Lent. Lent is observed beginning on Ash Wednesday until three days before Easter Sunday, the day Christ rose from the dead. It is a time that parallels Jesus’s time in the desert, a time of sacrifice and contemplation. The crosses on the buns represent the Crucifixion while the spices are meant to mimic the spices used to embalm his body. This modern day representation is a far cry from what went down at the time, as I’m sure Jesus was not embalmed with cinnamon and cloves! 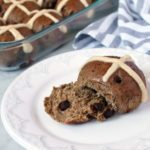 While I have made the traditional hot cross buns before, I wanted to try something a little different this year with these Sourdough Hot Cross Buns. I’ve been baking bread since before Christmas using my sourdough starter, Stan and have finally progressed in skill enough to try to bake items other than loaves. The other day while I was feeding Stan, instead of discarding the starter I used it to make another levain (the starter’s starter if you will). The levain is the portion that usually gets mixed with extra flour and water to make the bread. In this recipe I have mixed it with a bit of sugar and milk to get things really going. Instead of waiting for the levain overnight, it is good to go in a few hours. By ‘good to go’ I mean that it is ready to be added to the main ingredients and mixed into a dough. 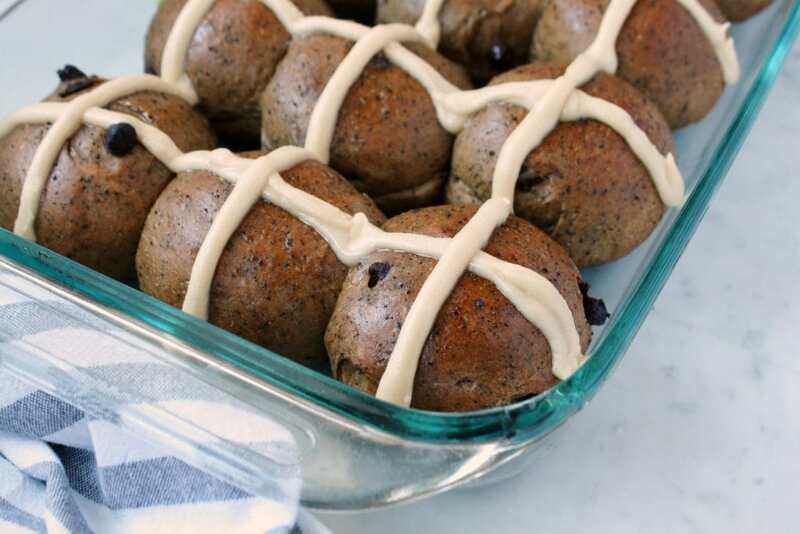 Once you’ve gone through the process outlined in the recipe below, you may realize that the crosses aren’t the traditional shortcrust pastry crosses but piped mocha icing. I didn’t really know how much the final buns would expand, so I refrained from using the traditional method here. Adding some ground espresso and using chocolate chips in place of the currants or raisins was an idea I brought back from Australia. There the Mocha Hot Cross Buns are made in a bakery called ‘Baker’s Delight’ which is the same company that is Cob’s Bakery here in North America. I keep on waiting for our local Cob’s to make them but it’s been six years now and I’m finally taking matters into my own hands! 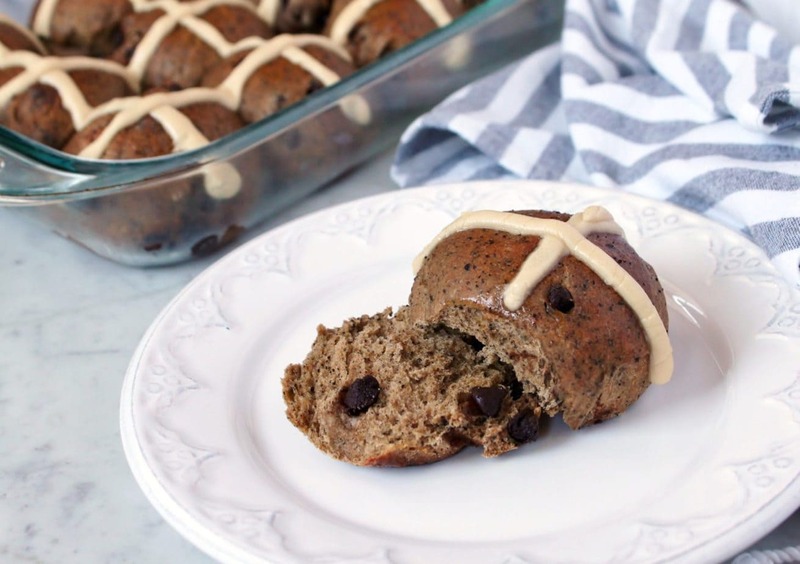 Traditionally eaten around Easter, these Hot Cross Buns have a bit of a mocha kick to them. Combine the sourdough starter, milk, all-purpose flour and sugar and mix just until smooth. Cover the sponge with plastic wrap and let it stand for 3 hours at room temperature. It should be light and bubbly, but still have some structure (not thin and runny). Place the starter, spices, espresso, and flour in the bowl of a stand mixer. 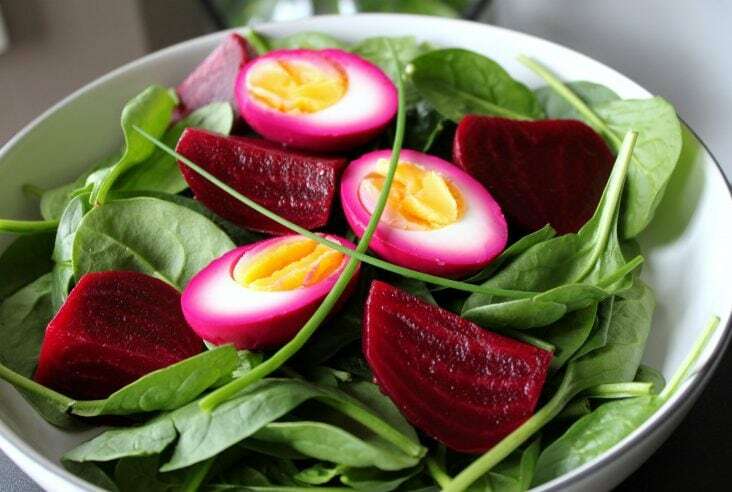 In a separate bowl, mix the eggs with the raw honey and milk then add them to the mixer bowl. Mix until completely combined and a very sticky dough has formed. Cover and let sit for 20 minutes. Sprinkle salt over the dough and knead for about 8 minutes on low. Add the butter, a little at a time so it becomes incorporated into the dough. Add chocolate chips during the last few minutes of kneading. If baking, fold the dough after the hour is up and let rest another hour. 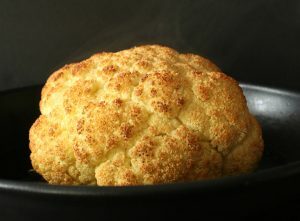 Divide dough into 12 equal portions and shape into buns. Place buns into a greased baking tray equally spaced apart and cover with a damp cloth or beeswax sheet. Allow to rise for another hour until doubled in size. Bake the rolls in a 375 F oven for 20-30 minutes until the rolls are golden and at least 190 F inside. In a small pot on low-med heat, combine honey and water until it becomes like a syrup. Brush over warm buns to glaze. In a small bowl combine espresso and icing sugar until smooth. Place in piping bag with plain tip and pipe crosses on the buns. 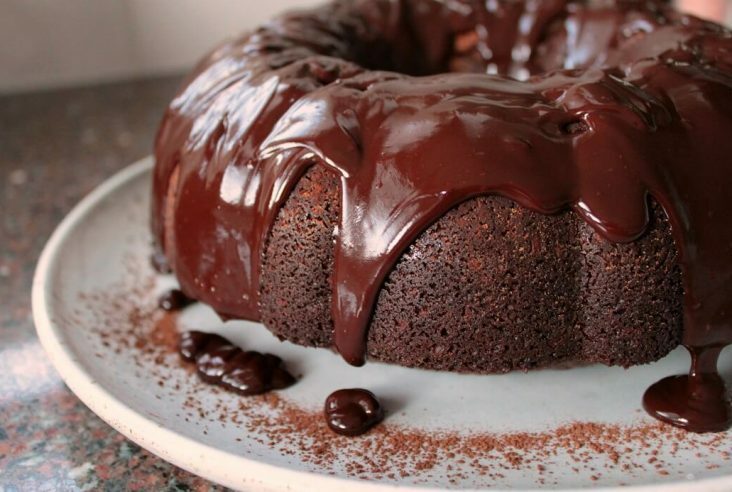 Anything with chocolate is my favorite! And these cross buns sound so much better with espresso and chocolate. Adding this to my Easter list. yes! They’re a nice change from the original flavours..enjoy! I don’t see eggs in the ingredients, but they’re in the instructions. I assume 2 eggs? Hi!! Yes, you are correct…good catch. 2 eggs.